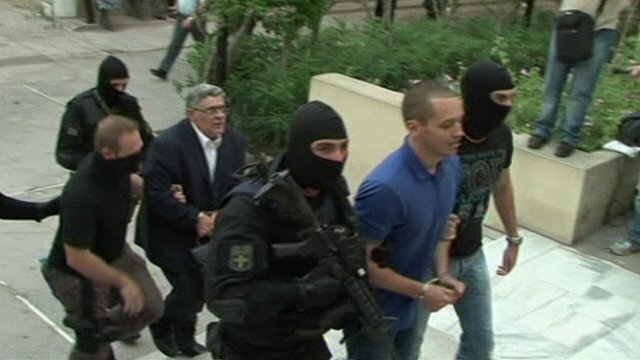 Golden Dawn MPs arrive at court Jump to media player Four MPs from Greece's far-right Golden Dawn party have been brought to court in Athens to face charges of criminal activity amid a clampdown on the party. 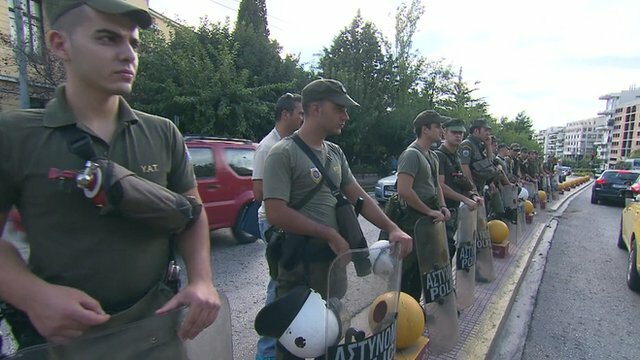 Greek neo-Nazis in Athens court Jump to media player Four MPs from Greece's far-right Golden Dawn party are to appear in court facing charges of belonging to a criminal group. 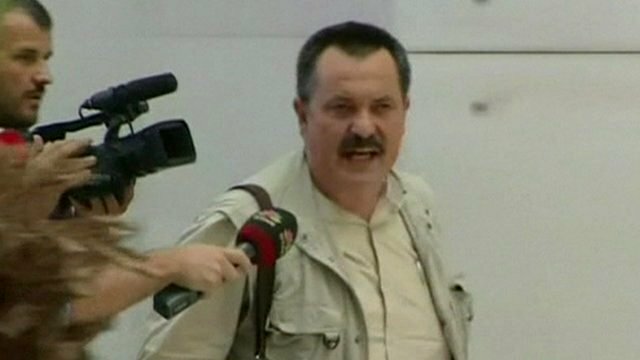 Sixth Golden Dawn politician arrested Jump to media player A sixth politician from Greece's far-right Golden Dawn party has been arrested after handing himself into police in Athens. 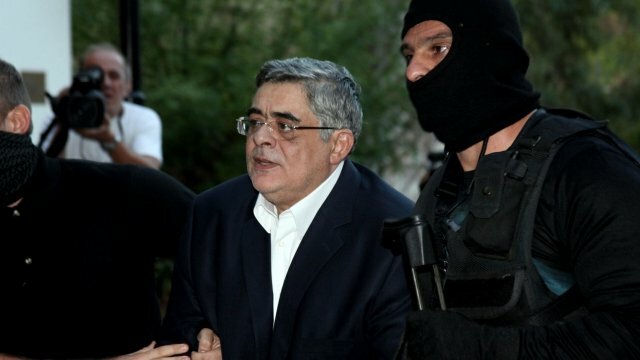 Golden Dawn leader appears in court Jump to media player The leader of Greece's far-right Golden Dawn party has appeared in court charged with forming a criminal organisation following his arrest on Saturday. 'It's the beginning of their end' - Greek MP Jump to media player An MP for the far-right party Golden Dawn has said that the arrest of its leader and several of its MPs does not spell the end for the party. 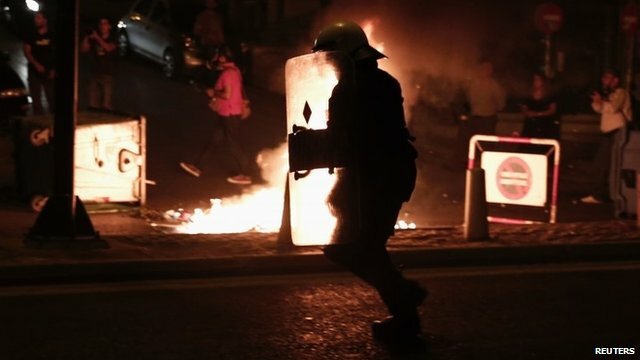 Violent clashes on Athens streets Jump to media player Protesters trying to reach the offices of the far-right party Golden Dawn have clashed with police on the streets of the Greek capital, Athens. 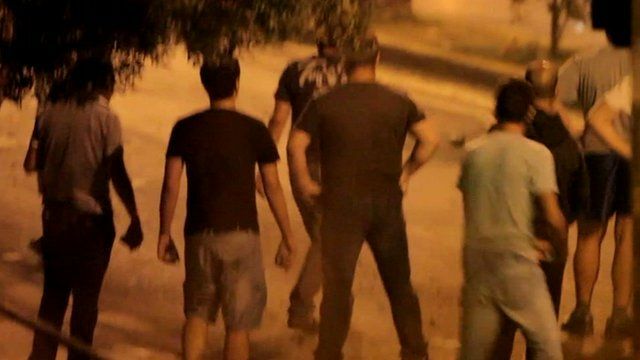 Amateur video shows Greek police standing by as suspected right wing sympathisers throw rocks at left wing demonstrators in Athens. 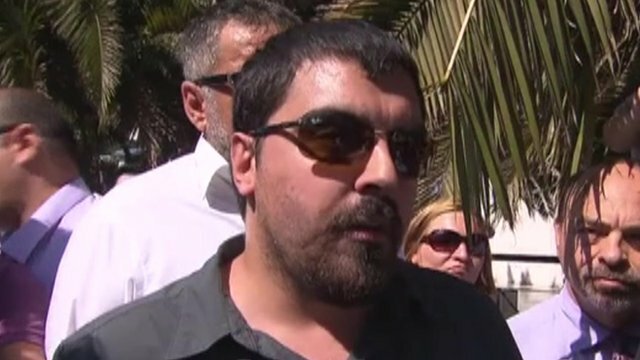 The campaign group Info-war.gr who released the video, claimed that one individual has been identified as a member of the far right wing Golden Dawn party.